No fighters died in the canyon runs. Woot. 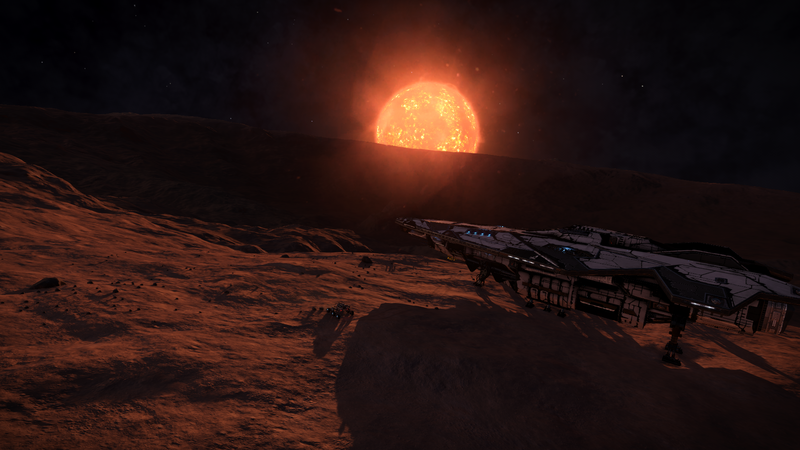 Still not much to look at, though I did come across an earth like world but didn't screenshot it. 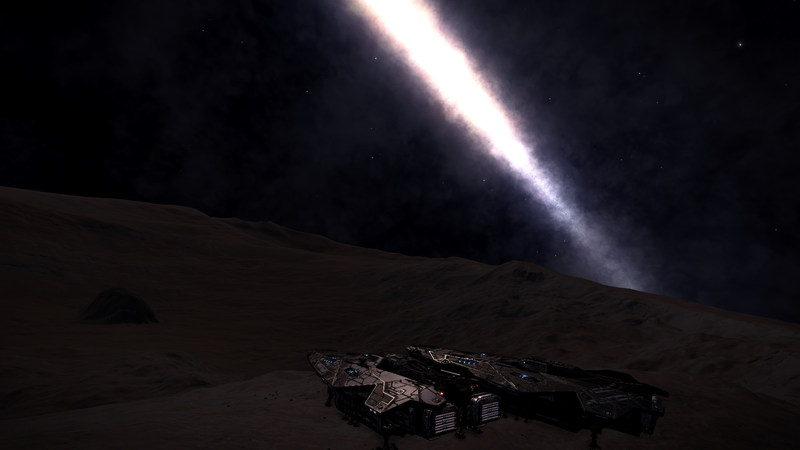 This is the view from where I landed on Truechoae MB-X d1-9 A 3 a looking back at the galaxy. I do believe the "nebula" you're seeing is actually a galaxy. I believe its the Large Magellanic Cloud. Keep up the travels and good photo ops Commander. bl00dh0und9 wrote: Good stuff Commander! You are correct. 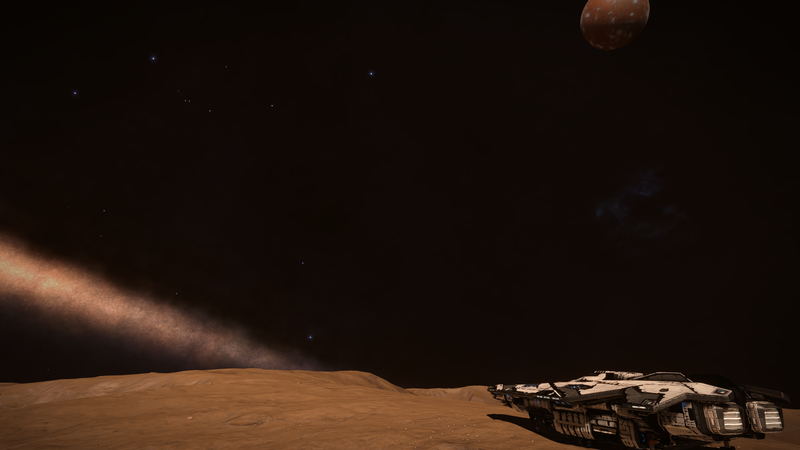 I got back on the map to try to search it out and realized it was another galaxy. I was a little surprised it was so large. 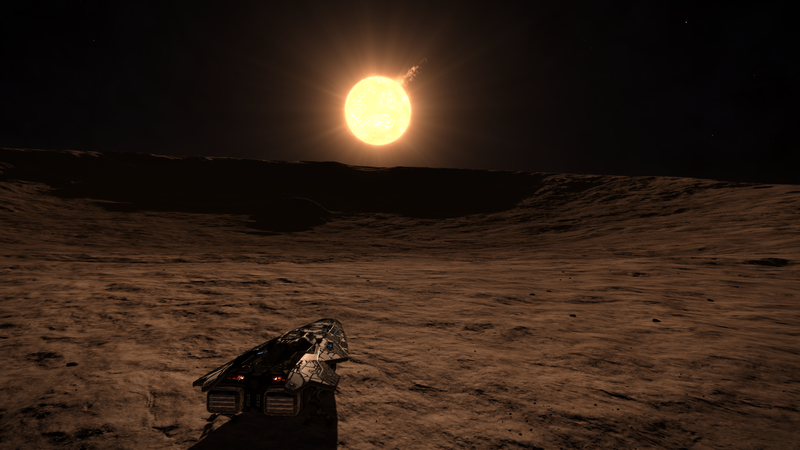 Another planet close to the star. Landing on Cho Thua KV-Y d3 1 tonight. 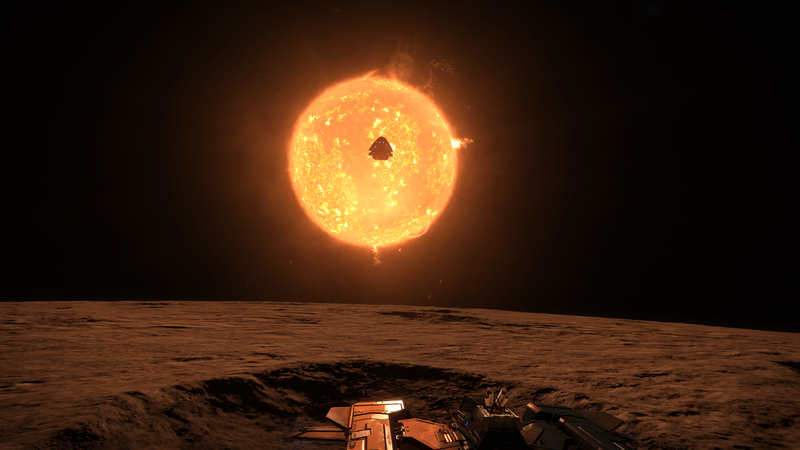 Flew a fighter into the hole in the photo above, which I promptly smashed against a wall because it was so dark. 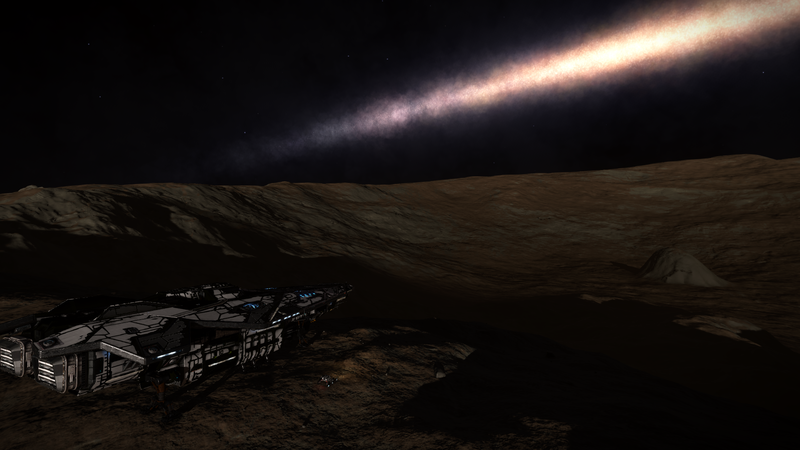 Took the conda down slow and careful to discover this hole goes about 350m deep and has a flatish floor. 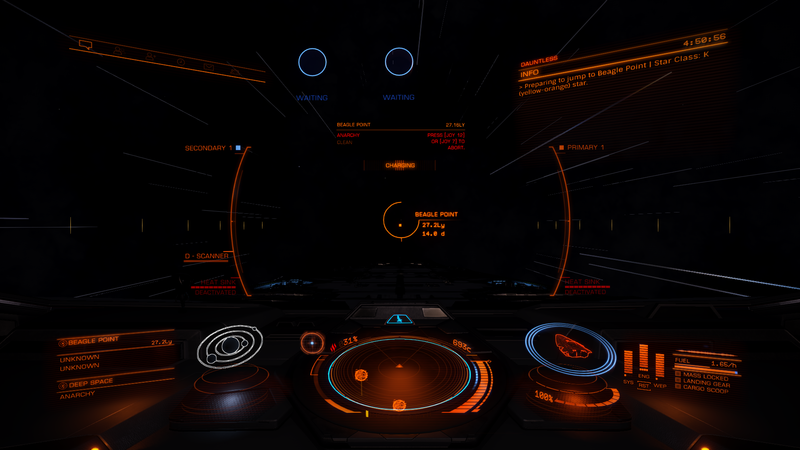 Half expected something to come out and eat my ship. Still way too dark to try to take pictures down there though. 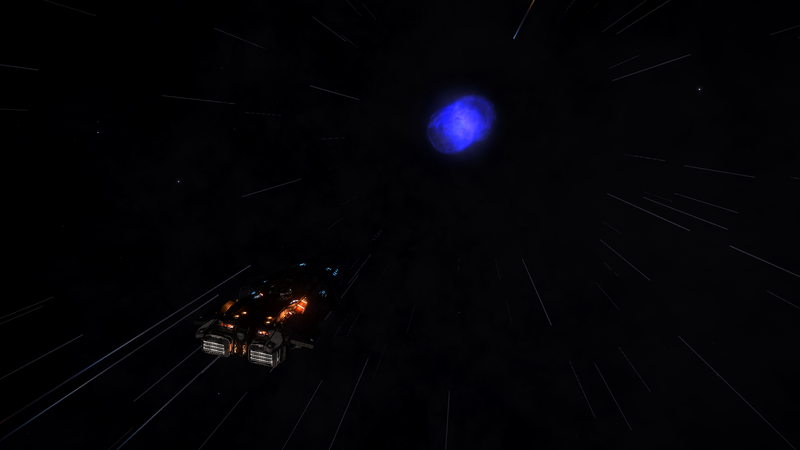 My last waypoint before hitting beagle point is this blue nebula with a black hole in it. Pretty cool little stop. 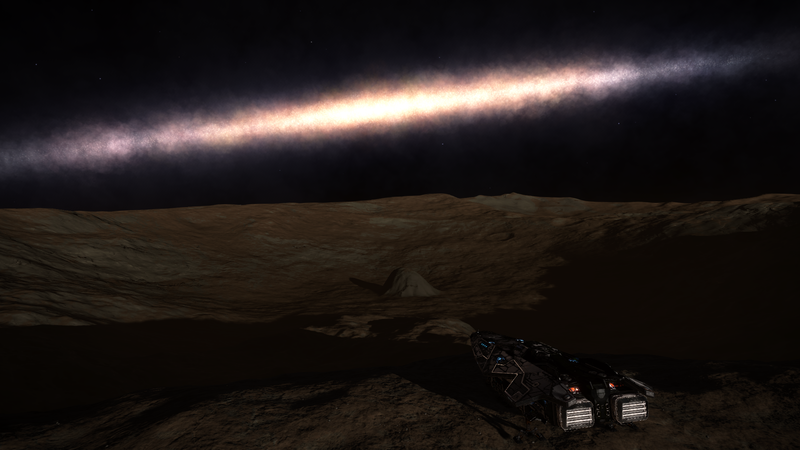 Finally made it to Beagle Point. 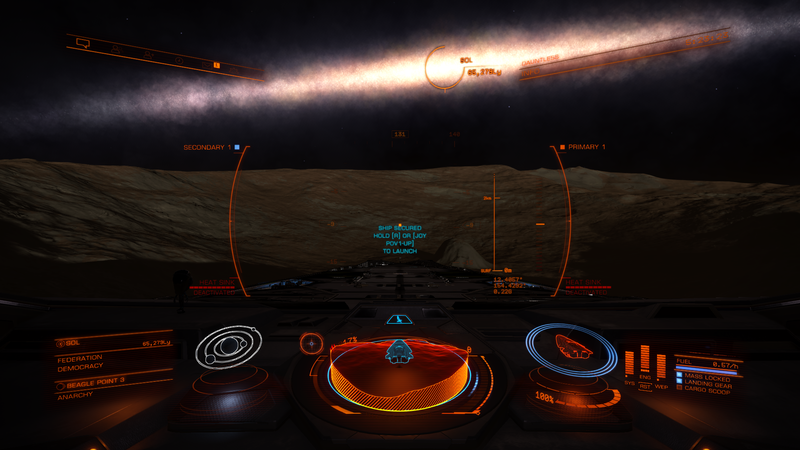 Hung out at beagle point for another day and met up with CMDR noobwithnohats and did a little multicrew bounty hunting. 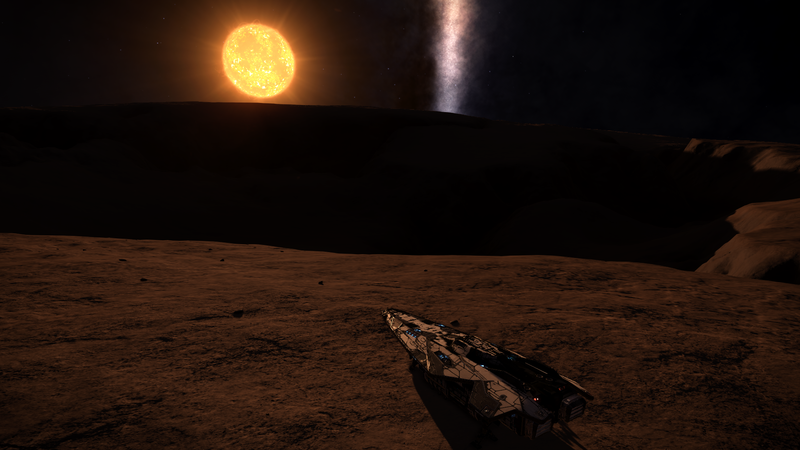 After 2 days at Beagle point, I'm heading back. 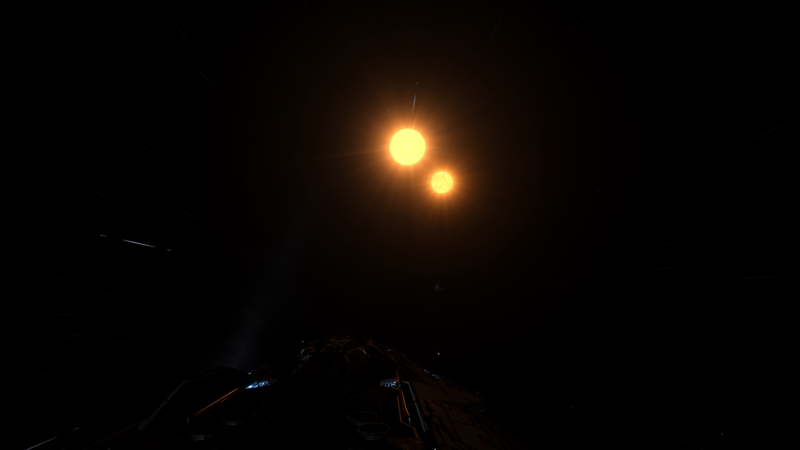 Landing in Myeia Thaa AA-A e0, a system with a huge star. 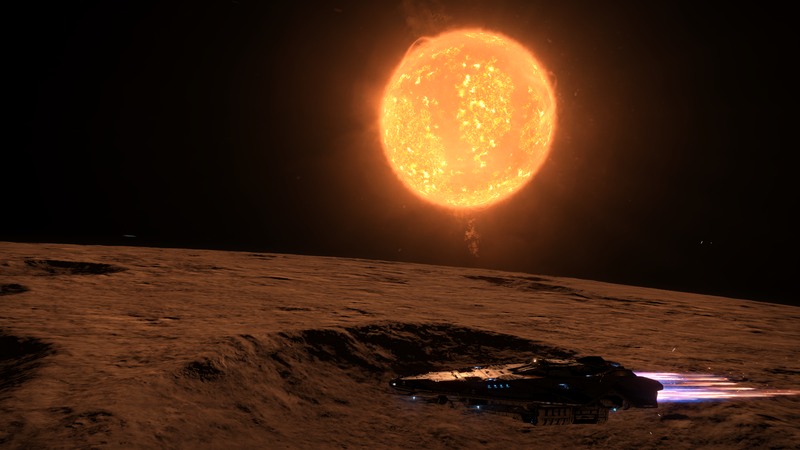 Unfortunately, the closest planet was over 1k ls away. That's a galaxy, I think the Pegasus Galaxy. If you find a way there, definitely let me know! Good lord, your pretty far out. How long have you been out there?